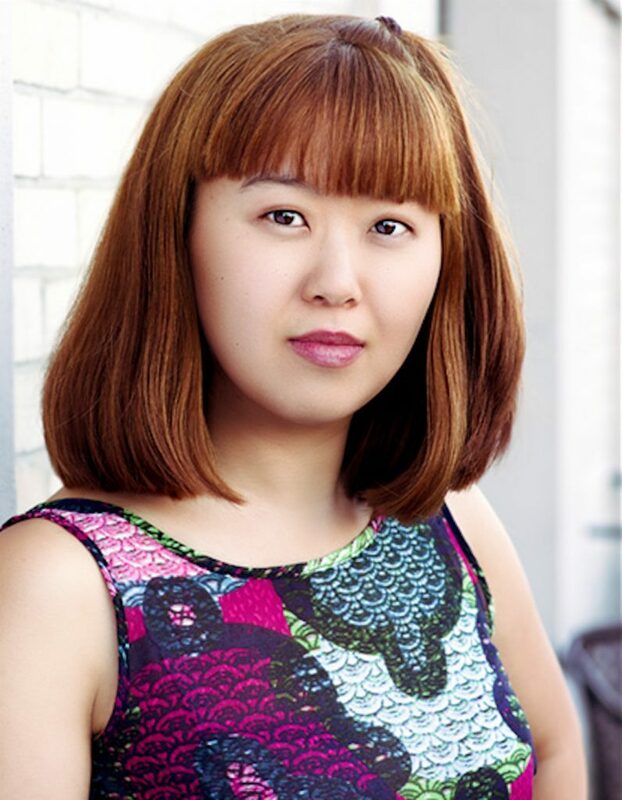 Molly Powers Gallagher is a Korean-born, Irish American-raised writer and actor, who is committed to creating stories that make women feel seen. She is a current LabWorks Artist at The New Victory Theater, where she is developing THE LIVING HISTORY PROJECT, a new play for young audiences which constructs and deconstructs a women’s history museum. She is also a 2019 Sokoloff Arts Creative Fellow, where she is developing THREE SISTERS, THEIR BROTHER & THEIR DEAD MOTHER, a full-length play about adult siblings who are suicide loss survivors. Her screenplay DRIVING WITH YOUR EYES CLOSED was recently selected for the Athena Film Festival IRIS Screenwriting Lab and recognized for the 2nd Round of Consideration for the Sundance Development Track. Her plays THE MIGHTY PATSY MINK! and THE MYSTERY OF THE 12 CURIOUS COUSINS were commissioned by Urban Stages and toured the five boroughs of NYC. Molly has also been named a Finalist for New Plays for Young Audiences, The Growing Stage’s New Play-Reading Festival and a Semi-Finalist for SPACE at Ryder Farm. MFA: Boston University BA: Fordham University Lincoln Center. Hey, Molly, fancy running into you in this place we both agreed to meet. Hey, Connor. I love a good coincidence. Hi, I’m Molly Powers Gallagher. I like that you introduce yourself with just your name. No descriptors necessary. Cool. Well, who’s your number one most played artist right now on wherever-you-get-your-music? Oh. Definitely Linda Ronstadt‘s “Desperado” on a loop. And how do you spend your free time? Reading, exploring New York City, visiting historic houses, museums, and National Parks. Very Ravenclaw activities. Oh, and I love watching Top Chef and The Great British Bake Off—on a loop. That sounds like all of the things that I would like to be able to tell people that I do with my time. Okay. Can you tell me about the project you’re working on at Town? That sounds like something I’d be interested in seeing. What excites you most about it? I’m starting to fall in love with the characters. At the core of the story are three sisters who messy and flawed but still hold agency, who are terrified but resilient in the wake of tragedy. We are all so many conflicting, complicated things at once, and I really hope someone in the audience will feel seen by watching these women on stage. Is there a moment you can point to where you called yourself an artist and fully believed it for the first time? Yes, and it’s almost one year to the day! Last year, I rearranged my whole life so I could put being an artist first. Within that first month, I finished a draft of a screenplay and presented an excerpt at a coffee shop as part of a reading series called The Salon. It was magical—passion and purpose collided, and I’ve been writing non-stop since. I don’t know if I believe in signs, but on that exact day this year, that very script is going to be part of The Lab at the Athena Film Festival, where I got to workshop that very script with some pretty awesome industry mentors. Love a good coincidence. What motivates you to keep going? Lin-Manuel Miranda tweeted this once, and it punched me in the gut, “1. Realize being an actor of color means no one will write your dream role for you. 2. Get to writing. 3. Repeat.” I have felt the effects of under/mis-representation in both my personal life and professional career. I have to show up for myself and create opportunities to be seen. I can’t rely on waiting for gatekeepers to open doors for me, I have to build my own entrance. I also don’t want to let the people who believe in me down. It’s an insult to them if I don’t try my hardest. *clapping* Any other projects in the works? Yes! Like I mentioned, my screenplay DRIVING WITH YOUR EYES CLOSED was selected for The Lab at the Athena Film Festival. It’s a coming-of-age film about a Korean Adoptee protagonist who takes a Hail Mary road trip to find a future in the wake of her mother’s terminal illness. It’s a busy and exciting time. Sandra Oh. Emma Thompson. My grandmother. How can your fans follow your career, should they want to/should you want them to?